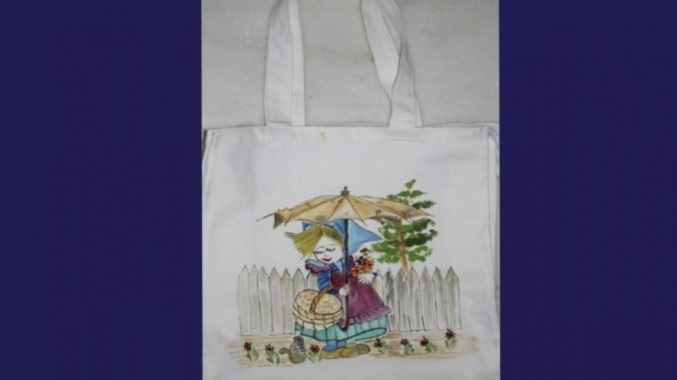 Painting on Canvas Tote Bags using Acrylic Colors. Come and paint Eco-friendly Canvas Tote Bags. Bring out the creativity in you. Very simple technique and its fun. A great take away, the tote bag which you can proudly carry around. NO PRIOR PAINTING EXPERIENCE REQUIRED. The tote bag is made of good quality cotton canvas material with a chain. Art is a Therapy and will help one de-stress. So for all those who who do not know how to paint, don't be scared and come and join us for this event. All painting materials will be provided along with complimentary refreshments. Come -Paint and take a beautiful piece of art with you home! Call us for any queries. Neelu's Art by Neelam Jain - I am a self taught artist and teacher for the past 20 years. I have been conducting workshops and exhibitions in different mediums of paintings..